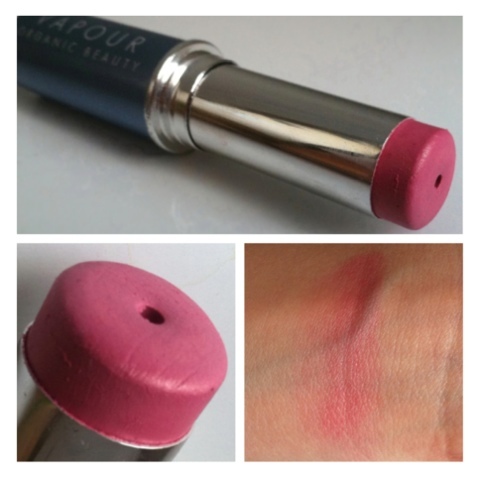 One of the few lucky products that travels with me just about everywhere is Vapour Organic Beauty's Aura Multi-Use Blush in "Crush." I happen to like using this stick for lip color more often than cheek color. It's honestly the softest, least-drying product I've tried on my lips, which could be due to the fact that its ingredient list includes lots of natural oils and beeswax. The color is pretty and understated enough that I feel comfortable wearing it anywhere. The only potential downside could be the bulky tube the product comes in - I've come to appreciate it, however, as it makes it easier to find in my bag (so many things get lost in there! ).